﻿ Benzema: "I'm fortunate to have the chance to play with Cristiano Ronaldo"
17.03.2014 » Benzema: "I'm fortunate to have the chance to play with Ronaldo"
Thus far this season, Karim Benzema has definitely been living up to the expectations put on him. In an interview in France, The 26-year old confessed to be very proud not only for playing in such a big club as it is Real Madrid, but also for having Cristiano Ronaldo by his side in the Merengues' attacking front. If there's a player who has shown a significant improvement from last season, that player has to be the France international Karim Benzema. 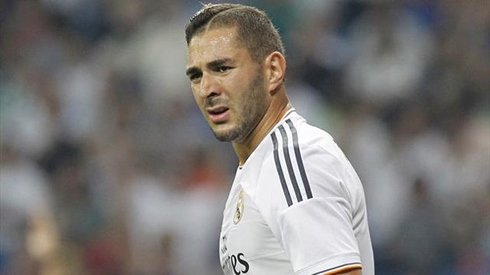 The former Olympique Lyon striker arrived to Real Madrid in the exact same year as Cristiano Ronaldo, but while the Portuguese has already recently reached his 240th goal for the Merengues, Benzema only has 108 goals by now. This year however, the Frenchman seems to finally be benefiting from a great understanding on the pitch with both Cristiano Ronaldo and Gareth Bale, but he's definitely also taking advantage of being given a lot more playing minutes, due to Gonzalo Higuaín's transfer to Napoli last summer. Following the injury he picked last Saturday against Malaga, Benzema will be sidelined for the Real Madrid vs Schalke clash scheduled for this Tuesday night, but he hopefully he should be fit just in time to be eligible to play in the Clasico, scheduled for next weekend (March 23). Also this Tuesday night, Chelsea vs Galatasaray will take place at the Stamford Bridge in what has been of the most even ties of this Champions League round. 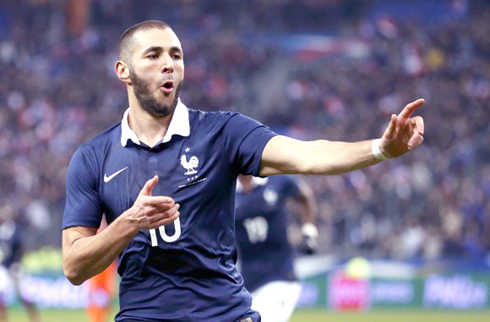 In an interview granted to the French media "Téléfoot", Karim Benzema revealed his dreams and ambitions with Real Madrid, how he rates Cristiano Ronaldo as a player and what are his hopes for France in the upcoming 2014 FIFA World Cup in Brazil. For several years, the 26-year old forward was one of the main targets of Real Madrid critics, never because he lacked the talent, but rather due the absence of a combative attitude on the pitch. That's precisely an area of his game where Karim Benzema has been putting some effort into and the results are out there to be seen. Benzema: "I've had some difficult moments here in Madrid, but if there's something I never lost throughout these years, it was the confidence I have in myself. Right now, I'm very happy to be where I am, playing for Real Madrid, the best club in the World! Quite simply, there is nothing higher than this. As for the World Cup, I deeply believe France can benefit from the fact that no one will be looking at us as a major favorite to go all the way...", remarked the Lyon-born football player. During his interview to TF1, Benzema was also asked to react to a few recent statements from some of the biggest names in this sport. Pelé for example, claimed that Benzema is currently one of the best players in the World, while Zidane believes that there isn't any other French player with more talent than the Real Madrid forward. 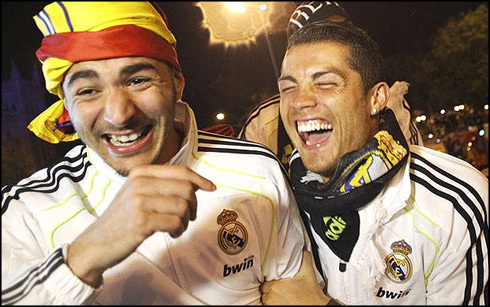 Finally, the Brazilian Ronaldo also noted that Benzema is the most important player in the France National Team. 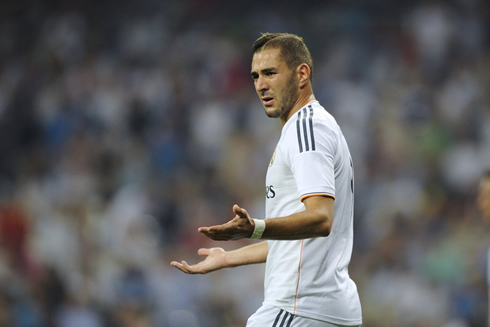 Benzema: "I'm obviously flattered with all those compliments. Zidane has been truly important to me, and I keep developing as a player every single day thanks to him. As for Ronaldo [the Brazilian], he's in my opinion the best football player of all-time...", remarked the 26-year old forward, who has never hidden his admiration for Ronaldo Luís Nazário de Lima. Real Madrid might be on the verge of making history this season. The Merengues have a comfortable 3-point lead over Atletico Madrid in La Liga, made it to the Copa del Rey final where they'll play against Barcelona, and are already virtually qualified for the UEFA Champions League quarter-finals. One of the main factors that has helped Carlo Ancelotti's men coming into this stage of the season in such good form, was Benzema's fruitful attacking partnership with Cristiano Ronaldo. 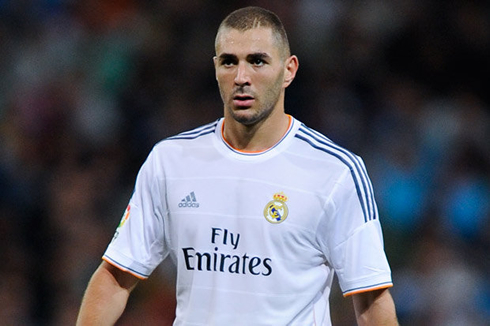 Benzema: "I have a great relationship with Cristiano Ronaldo. We get along perfectly both on and off pitch, and I definitely learn a lot from him. 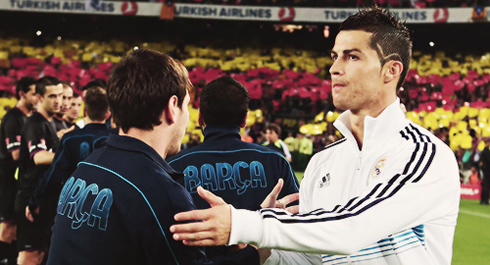 It's a true honor to be able to play with Ronaldo, the best player in the World. In fact, I only have terrific players around me in this club and when that happens, I can only get better", commented the Real Madrid striker, currently recovering from an injury that should keep him out of action until next Sunday's "Clasico" against Barça. Cristiano Ronaldo next game for Real Madrid will be against Schalke for the UEFA Champions League, on March 18 of 2014. You can watch Juventus live stream, Real Madrid vs Schalke, Fiorentina vs Juventus, Chelsea vs Galatasaray and Borussia Dortmund vs Zenit, all games provided from our football live section.